The healthcare industry is undergoing a transformative shift. The first phase of this shift has been a movement to digitize and bring healthcare records online. Now it’s time for the next major overhaul: enabling healthcare systems to share patient information. Netrix helps hospitals, clinics physician groups, associations, care facilities and medical suppliers connect, manage and analyze data. Our IT consulting group provides a complete range of services with the goal of providing better healthcare for all. The Netrix Healthcare Practice Group is a team of integration specialists who know how to extract and utilize data from electronic medical records (EMR) systems. We have built secure and extensive payor, provider and physician systems. Focused on multi-facility hospitals with an integrated delivery network, physician groups with multiple sites, clinics, and retirement communities that offer clinical services we deliver the complete range of services to connect, manage and analyze healthcare data. Netrix offers a turn-key Behavioral Health EMR, called SAMMS, that includes clinical, medical and financial features to schedule and dispense medication, manage inventory, collect payment and process billing to state agencies – in a single system allowing clinicians more time for direct service delivery. SAMMS for cloud provides all of the resources needed to migrate business applications to the cloud in a secure process by cloud migration professionals. Netrix provides a wide array of advisory services related to initial clinic openings, clinic compliance, revenue cycle, analytics, accreditation and best practice trainings. Whether the urgency is meaningful use, patient engagement, data warehousing, ACO, clinical integration, EMPI, or any number of pressing challenges. Netrix also offers SAMMS for Social Services, a turn-key product for Social Services, that includes scheduling, treatment plans and payment processing. For hospitals and long-term care facilities looking to increase reimbursement levels or improve operational performance, Netrix offers a combination of consulting services, including data warehousing, advanced analytics and dashboards, revenue cycle management, and cost containment and compliance auditing. For clinics looking to open new locations or prepare for compliance audits, Netrix offers a combination of consulting services, including plant design, policy and procedure definition, and compliance training and monitoring. Creating a fully functioning Health Information Exchange demands specific IT expertise. Integrating, moving and managing data, networking, analytics and application development are only some of the unique challenges to overcome. Healthcare organizations do not have the luxury or time to be students of technology, which is where we come in. 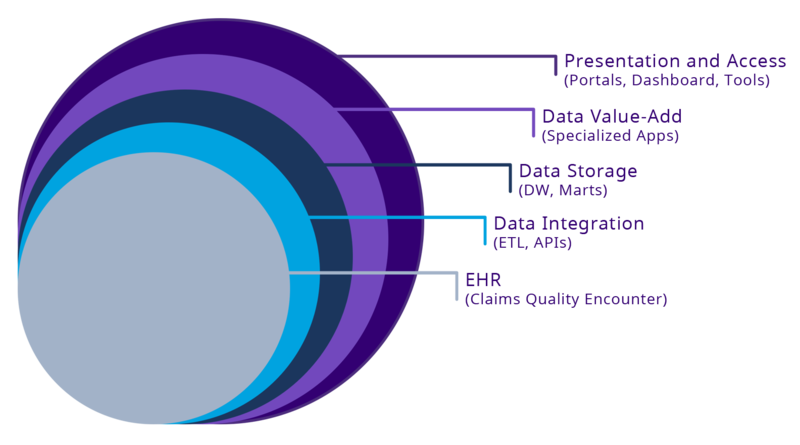 The Netrix Healthcare Practice is able to manage all aspects of IT for healthcare, pinpointing issues, unlocking the value hidden within data, and locating the hidden data nuggets within that spell success. We utilize the following technologies and more: RBI HSL 7 Cloverleaf EPIC Nexgen Alltech Allscripts integration Cerner Metatech Cogito Microsoft Power BI Relatix Tableau Clickview. Did you know that SAMMS is one of the top substance abuse software systems in the world? And although it is used at over 125 clinics in 17 states, Netrix is finding that healthcare organizations need more than simply software to manage their systems. Netrix has a wide array of technology expertise; from engineers to application developers; integration specialists who can assess issues — much like a triage team in hospital — and pull together disciplines to solve the problem while optimizing performancee; and the entire stack of technology with an approach, services, and product offerings that are adaptable enough to integrate with current healthcare IT systems.